It was recently Papa Explorer's birthday, and for an occasion like a birthday there is only one thing to do: BAKE! 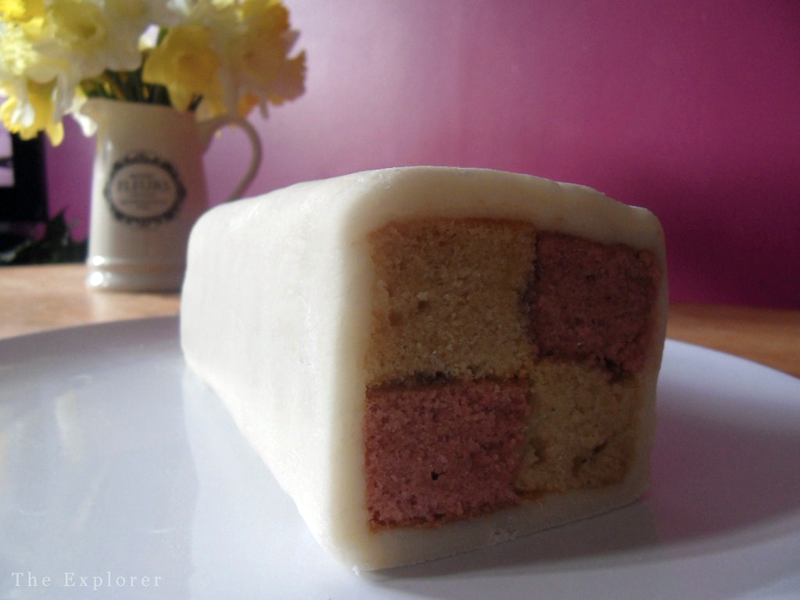 Now, Papa Explorer can be a bit on the fussy side with his food so I thought I'd stick to something I know he likes: Battenburg cake. 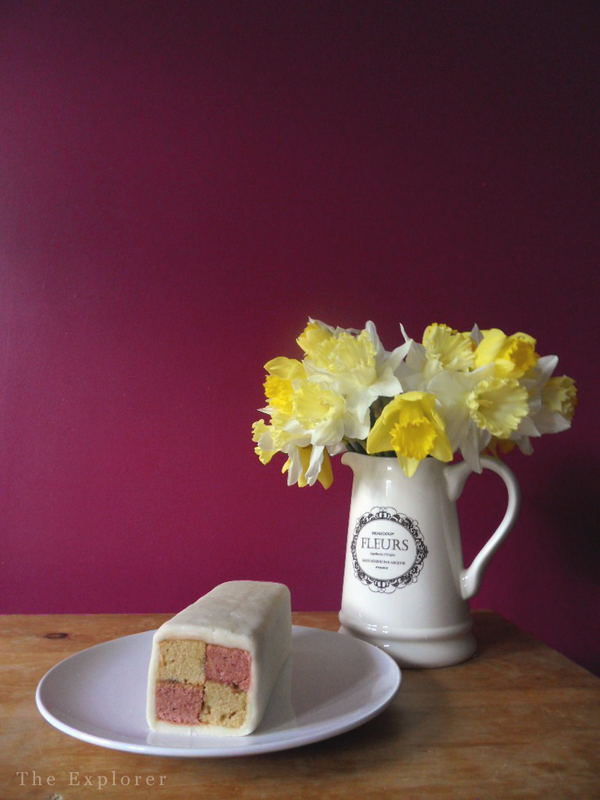 I have never attempted Battenburg before in my life, I have had plenty of experience tasting the almond-y delight but I have never baked it. I researched a little and found what seemed to be the most traditional recipe, read through it and then - in true Explorer style - changed it. 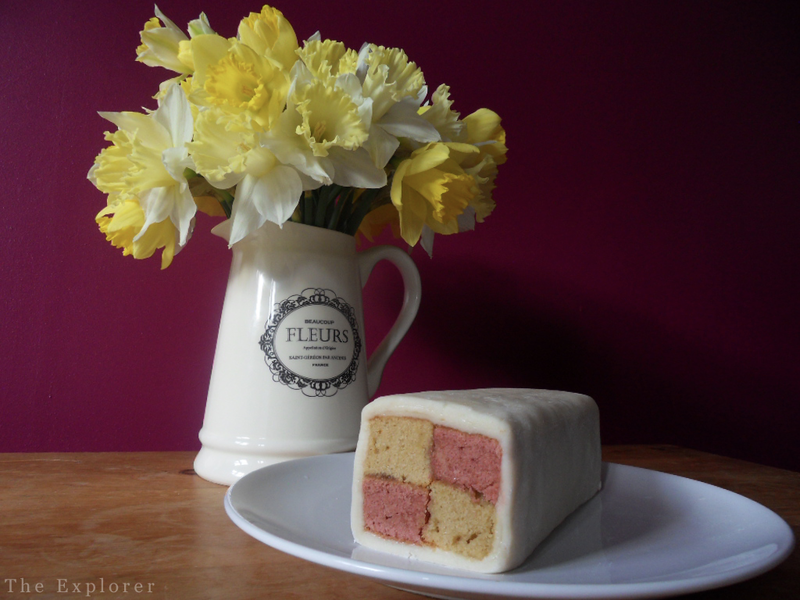 In essence it is still a Battenburg.....it just has a few....tweaks! Before I give you the recipe method, I will give you the method in my madness: I exchanged the Caster Sugar with Light Brown sugar as I think you get a better flavour in the brown sugar. Reducing the amount of Flour and adding the Almonds didn't change the consistency of the cake too much but adding the almonds gave the sponge more of a texture. Finally, I change the Apricot Jam to Marmalade because I wanted to have a stronger fruitiness to the cake, in order to balance out the extra Almond taste. Without wanting to sound ridiculously poncy all of the changes were made in the hope of adding more depth to the cake. Preheat your oven to 180 degrees. Grease and line a 20cm baking tin. Now would be a good time to create the greaseproof paper divide that you will need to separate the two mixtures. Take a piece of greaseproof paper that is the same size as your tin (draw around your tin to achieve this), fold it in half. With each half you will need to fold the non-folded edge up roughly 3cm, so you get a flap on each side. Flatten the newly folded edges out and what you should end up with is an upside down T shape. Put that in the middle of your tin....divide conquered! Cream together your softened butter and sugar until you get a light a fluffy consistency (this will take a little longer to achieve with the brown sugar). Add in your eggs to the butter/sugar mix on at a time, beating well with each addition. Pour in your milk and give it a good mix. Sieve in your flour and ground almonds, making sure to disregard any coarse bits of almond, and gently fold in until incorporated and mixed well. Once your mixture is ready take half of it out and colour with you pink dye (add it slowly to make sure you get the shade you want). Add your separate mixtures to the tin on separate sides of your lovely divide. Pop it all into the oven for 25 to 30 minutes. Once your cake is cooked and cooled take it out of the tin, dived each colour in half longways and trim so that when they are stuck together they form a perfect square. Gently heat up your marmalade and brush each adjoining side of cake with it to stick the sponges together. 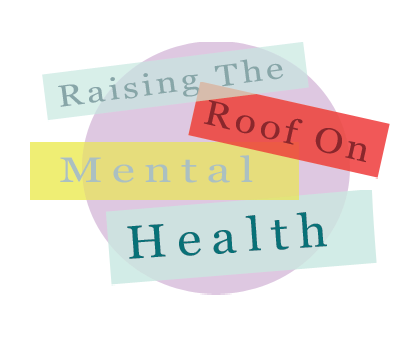 Now for the fun bit! 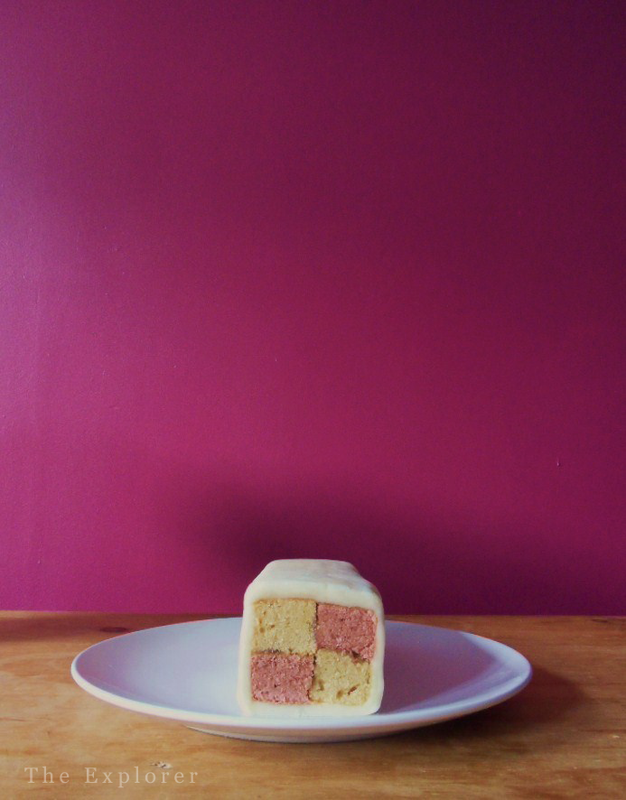 Sprinkle a small amount of icing sugar onto your worktop and roll out your marzipan into a rectangle big enough to wrap all the way around your Battenburg. 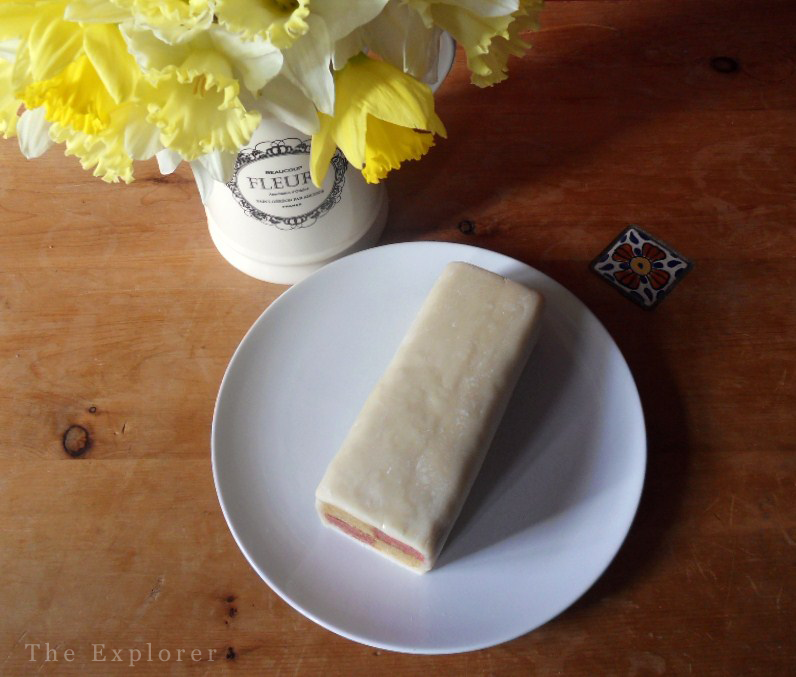 Brush some more Marmalade (Jam) onto your marzipan, put your newly formed sponge onto it and roll until it is covered. 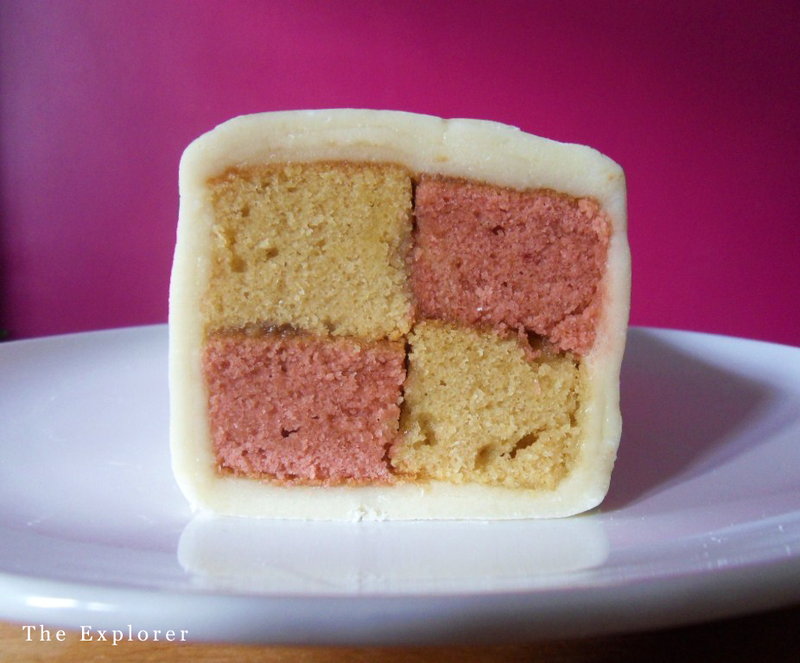 I did two layers of Marzipan on mine, 1. Because Papa Explorer loves Marzipan, and 2. To make it look prettier! Papa Explorer had a good birthday and enjoyed the cake to boot: Perfect!.......Now, what to bake for Father's day?